CAREstream America, a premier product and services distributor for pain management, regenerative and aesthetic specialties, announces the acquisition of Catalyst Sales & Marketing (www.catalystrn.com), a regenerative medicine solutions provider, effective December 21, 2018. This acquisition significantly expands CAREstream America’s product lines and offerings to its customers, particularly those in regenerative medicine. CAREstream America acquired majority ownership of Axiom Therapies, formerly a wholly-owned subsidiary of Nueterra Capital, on November 30, 2018. Axiom Therapies empowers clinicians to provide next-generation, cell-enhanced treatments founded on the principles of evidence-based regenerative medicine. 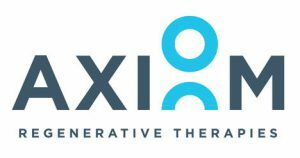 Axiom Therapies will focus on Orthopedics, Pain and Rheumatology, with a full complement of regenerative therapies including: APIC-A2M, PRP/PRFM, Exosomes, Amniotic Fluid, Bone Marrow- and Adipose-Derived Stem Cell Therapies, and VitalityRED for ED. The enhanced Axiom Therapies will be led by President Blake Petrunick with most of the Catalyst senior leadership joining him. “We are focused in the MSK space with an extensive roster of Regenerative solutions to bring solid, proven clinical outcomes to this evolving healthcare market,” commented Mr. Petrunick. This transformational merger creates pathways for accelerated growth, while ensuring FDA compliance and outcome measurements to make Axiom Therapies the regenerative leader in the MSK world. Nitrous oxide popular childbirth pain relief comes to Divine Savior in WI with Pro-Nox! “Looking for a safe and effective pain relief option that you can control during childbirth? On May 1 the birthing center at Divine Savior Healthcare expanded pain relief options and offers laboring mothers the trending self-administered technique of nitrous oxide.” Learn more about how Divine Savior implemented Pro-Nox here. It has been stated that “In an era that is increasingly focused on patient-centered care, clinicians seek to understand the ways in which they can effect positive change in the patient’s experiences and outcomes. This is now recognized among the key skills of ‘excellent anesthesiologists'”. As part of a large academic medical center that used a large data set to examine the effectiveness and satisfaction – it was found that among those women who desired to use nitrous oxide, and actually did use it throughout labor and delivery, almost all were highly satisfied, despite only minimum, or in some cases nonexistent, analgesic effectiveness. Read the full editorial here by William Camann, MD, Department of Obstetric Anesthesiology, Brigham & Women’s Hospital, Harvard Medical School, Boston MA. Women in labor at Legacy Salmon Creek Medical Center can now find some relief from an unexpected source: laughing gas. Last month, Legacy’s family birth center became the first in Southwest Washington to offer nitrous oxide to pregnant women in labor at the hospital. The nitrous oxide — which is a 50-50 mix with oxygen — can be used from the time the woman is admitted until the baby is born without any negative effects to mom or baby, said Shelora Mangan, clinical nurse specialist at Legacy Salmon Creek. Read more here. “Debridement & Autologous Lipotransfer for Chronic Ulceration of the Diabetic Foot and Lower Limb Improves Wound Healing” study led by Dr. Tilman Stasch examined the results from 26 patients with non-healing wounds that were treated with lipotransfer in addition to debridement. The conclusion is that Autologous fat grafts are able to achieve wound healing in non-healing ulcers of the lower limbs. Read the full study here. UT Medical Center using Nitrous (Pro-Nox) to help moms get through labor! “A pain management method that’s more than 100 years old is again becoming a popular choice among women in labor. Nitrous oxide, commonly known as laughing gas, was popular in the 1960’s before the days of epidurals and IV medication.” Read more Here! The PRO-NOX™ is a pneumatically driven gas system designed to deliver a 50% oxygen and 50% nitrous oxide mixture to adult and pediatric patients for the relief of pain and anxiety in a medical setting. Learn More Here! South County Hospital may be the first in Rhode Island to bring back laughing gas for women in labor. It hasn’t been used in the U.S. for decades. We delve into what happened to nitrous oxide, and why it’s making a comeback. Read more to find out why they added Pro-Nox Nitrous Oxide to their labor & delivery department. Ask almost any woman who has experienced labor and delivery and she will likely tell you that despite its purpose it’s no laughing matter. Now several hospitals in Connecticut hope to reduce some of the painful aspects of childbirth, at least the perception of it, by offering women the option of using a little nitrous oxide (AKA laughing gas) to help take the edge off labor pain. Read the full article here.